Home » Developer » Facepalm » How many SEO’s does it take to change a light bulb? 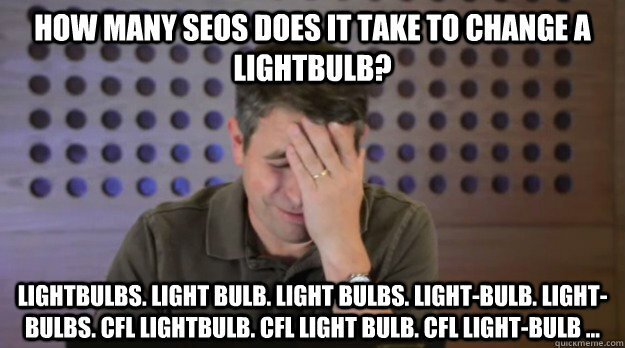 How many SEO’s does it take to change a light bulb? A little SEO humor hits home with me due to my current project dealing with SEO and giving keyword suggestions etc etc. SEO Facepalm How many SEOs does it take?